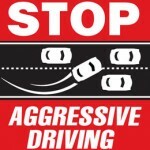 Aggressive driving, or road rage,is an assault by the operator or passenger of one motor vehicle on the operator of another motor vehicle, caused by an incident that occurred on the roadway. Frequent examples of road rage include: following too closely, using the horn or flashing headlights excessively, speeding or slowing down dramatically to attempt to teach another driver a “lesson,” and weaving in and out of traffic. Road rage can lead to assault and/or harassment, which can result in an arrest and potential jail time. Aggressive driving can often coincide with Driving Under the Influence (DUI). If you have been cited for aggressive driving our legal experts can help you. Any person who knowingly injures another person, animal, or property with their vehicle is required by law to call the police. Failing to call the police is committing the crime of a hit and run. Most states prosecute hit and run crimes as misdemeanors, however if the hit and run results in serious injury or death it could be escalated to a felony charge. A hit and run is definitely something you would want legal advice for, as penalties for a hit and run can include suspension or revocation of your driver’s license, compensation paid to the victim, incarceration, fines, and a civil suit for personal injury. Reckless driving is considered a major moving traffic violation and is often defined as a mental state in which the driver of the motor vehicle displays a wanton disregard for the rules of the road. Reckless driving violations are punishable by fines, imprisonment, and driver’s license suspension or revocation and vary by state. In some states, excessive speed alone can be enough to warrant a reckless driving violations, such as in Virginia. Tailgating, also known as following too closely, is considered a moving violation. Tailgating tickets are often given when a driver rear-ends another vehicle, however there are many ways to defend against this type of ticket. Our lawyers can assist you in convincing the judge that you’re tailgating was temporary and/or that you couldn’t have anticipated that the vehicle in front of you would be slowing down. If you need legal help with an auto accident, our experienced lawyers can assist you with that as well. The crime of vehicular homicide (also known as vehicular manslaughter) involves death resulting from the negligent operation of a vehicle. Frequently, vehicular homicide is a result from driving while committing an unlawful act. All states except for Alaska, Montana, and Arizona have vehicular homicide statutes, which other states simply assert that a vehicle is a potential deadly weapon. To be charged with vehicular homicide or vehicular assault, the victim may be either a pedestrian, cyclist, another motorist, or another passenger in the vehicle with the offender. As these are quite serious criminal charges, it is advisable to enlist legal advice from an experienced attorney if you are potentially going to be charged with vehicular homicide. Contact us today to get legal advice for traffic violations related to aggressive driving.